As the largest animal group in the world, with millions of species, insects should be a significant focus in the science classroom. And while spiders are often grouped with bugs, they aren't insects. 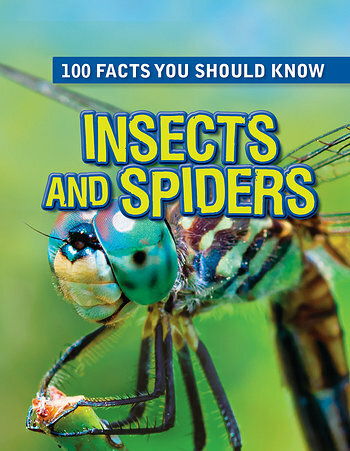 This notable book explains why within its 100 facts about both groups that will astound, entertain, and perhaps even gross out readers! Discussion of the life cycles of these creatures offers need-to-know vocabulary words and concepts such as larva, pupa, and molting. Images throughout the book support the accessible text, while activities and quizzes keep readers assessing and building on their understanding.